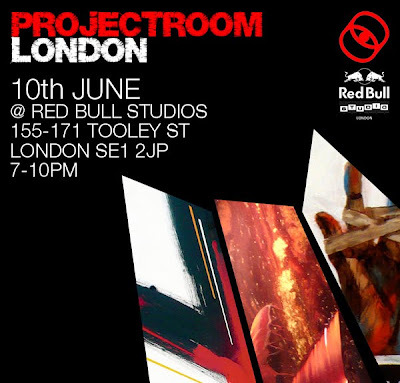 After the huge success of Jaybo's 'One night only' events in Berlin featuring artists such as Herakut, Marco Grassi and Best Ever, the ProjectRoom event now comes to London. Artist's lined up for the London event include Jaybo, Juice 126 and Remi/Rough. The evening will take place in Red Bulls new Studio space, only a short walk from London Bridge Station. Below is a clip from the the Jaybo and Remi/Rough ProjectRoom in Berlin last December and will give you an idea of what to expect.